Brown & Lee is pleased to announce that Matthew Moore has been made an Associate of the Practice at its Stevenage office. 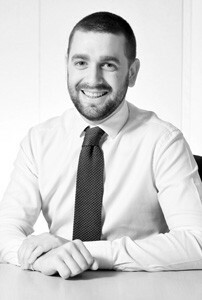 Matt joined Brown & Lee in 2013 having gained a First Class Honours Degree in Building Surveying from Liverpool John Moore’s University. With the ongoing support of his Stevenage colleagues, he successfully completed a two-year Assessment of Professional Competence and qualified as a Chartered Surveyor in 2016. In conjunction with Building Surveying Partner, Geoff Stilwell, Matt continues to immerse himself in the local commercial property market, carrying out the full range of Building Surveying services in Hertfordshire, Bedfordshire, Buckinghamshire and North London for both commercial clients and the NHS.